August 19, 2017 was a night like no other since it presented a new experience. 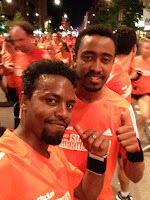 I and my friends were preparing to a famous 10 kilo meter running event in Stockholm for the last two months. 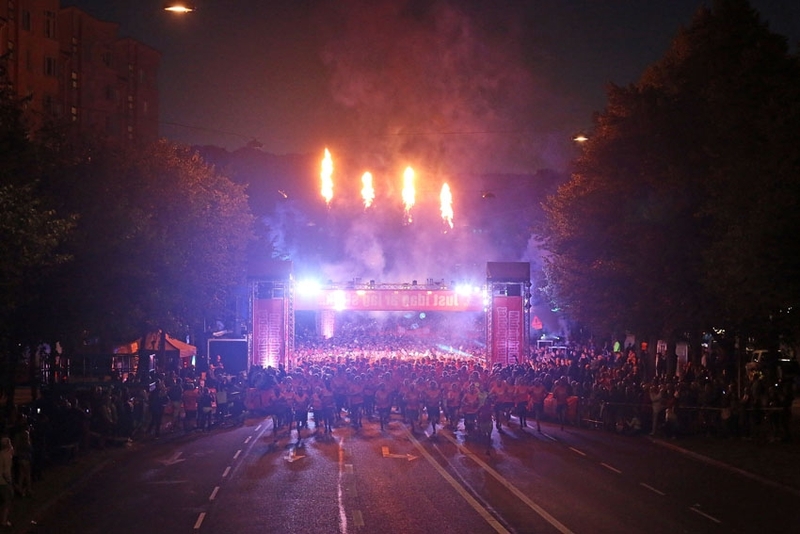 The name of the event is referred as "Midnattsloppet" and takes place yearly. It is identical to the 10 km Ethiopian great run except that the race takes place during a summer night. As the event day approaches, there was much anticipation and excitement as to what expect that night. For many of us, it was the first time that we participated in the event. We got our running kits one week before the competition began.The number of participants were approximately 40,000 and the the colour of our jersey were orange-ish, which made the city delightful to watch specially if one was looking from a building. One can say the event was well organised from the start till the end. There were different start groups from the beginning, which were classified based on intended finishing time. 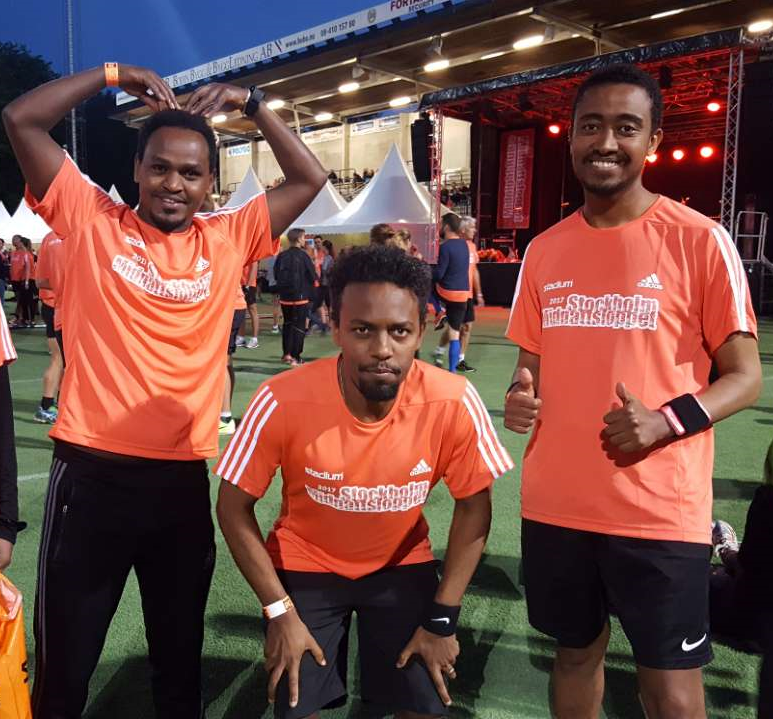 I and my friends chose to run with 3D - the group of runners who planned to finish between the time of 50.00 and 54.59 minutes. Every group name was called to go to the gate when the start time approached. After some dancing exercises and stretching, the countdown of the race started. In the beginning it was hard to run with increased pace since there were many people who were in-front. 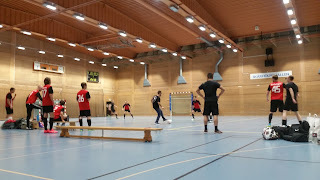 But after 2 km, I and one of my friends started to find spaces to run with. We started running with good pace to make it through the crowd and finished in 48.06. At the end, we received our medals together with some snacks and water. We were glad with the time since it was below our goal time and considering the fact that we didn't run in a straight manner. Most of the other competitors we encountered were friendly and funny. The energy was fantastic and motivated us to participate in other upcoming races.It was surely an unforgettable experience. Is this the first time you were participating? * No I have participated last year and that was my first time 10k ever. What's was your goal ? *This years goal of mine was to break my own personal record which was 1:04:02. It took me 1:01:01 this year though I had leg injury. Are you satisfied with the result ? Are you satisfied with the competition ? 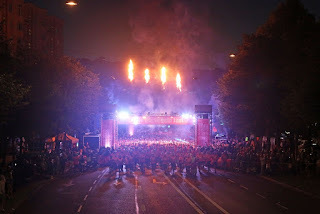 *Yes I am satisfied with the competition because "Midnattsloppet" is not just running competition but it has a lot of fun things such as live road side music and dance performances. I recommend all audiences of this blog to give it a try next year. What was the most memorable thing about the event ? *I would say everything along the track from the first second to the finishing line had been so unforgettable. The feeling was a mix of physical fatigue and psychological courage to finish the race. Hard to explain but guaranteed to make you wait the next competition. click the link "view web version" below for optional viewing.